Note (1) * Excludes all fan losses. Note (2) Engine ratings apply at 1,833 rpm. Note (3) Net power advertised is the power available at the flywheel when the engine is equipped with fan at max speed, air cleaner, muffler and alternator. Note (4) No derating required up to 2286 m (7,500 ft) altitude. High altitude attachment available for greater than 2286 m (7,500 ft). Note (1) Operating Weight: Includes hydraulic controls, blade tilt cylinder, coolant, lubricants, full fuel tank, ROPS, FOPS cab, SU-Blade, Single-Shank Ripper, 610 mm (24 in) ES shoes, and operator. Note (2) Shipping Weight: Base machine chassis with cab, pivot shaft, roller frames, track and ROPS. Note (1) Steering Pump output measured at 1,800 rpm and 30 000 kPa (4,351 psi). Note (2) Implement Pump output measured at 1,800 rpm and 20 000 kPa (2,900 psi). Note (3) Electro-hydraulic pilot valve assists operations of ripper and dozer controls. Standard hydraulic systems includes four valves. Note (4) Complete system consists of pump, tank with filter, oil cooler, valves, lines, linkage and control levers. Note Positive Pin Retention Track. Note * With oil filters. Note (1) * Includes blade installation arrangement, blade tilt cylinder, and blade lift cylinders. Note (2) ** Total Operating Weight: Includes hydraulic controls, blade tilt cylinder, coolant, lubricants, full fuel tank, ROPS, FOPS cab, Blade, Single-Shank Ripper, 610 mm (24 in) ES shoes, and operator. Note (1) * Total Operating Weight: Includes hydraulic controls, blade tilt cylinder, coolant, lubricants, full fuel tank, ROPS, FOPS cab, SU-Blade, Ripper, 610 mm (24 in) ES shoes, and operator. Note (2) Single-shank ripping arrangement weight includes pin puller. Note (2) + Includes (1) shank, add 347 kg for each additional shank. Note (1) Variable speed, hydraulically driven, dual braking system, three-roller fairlead. Note (2) * Weight shown is base winch only. Does not include mounting arrangement, control arrangement, oil, or wire rope. With counterweight: 3700 kg (8,150 lb). FOPS FOPS (Falling Object Protective Structure) meets ISO 3449:2005 Level II. ROPS ROPS (Rollover Protective Structure) offered by Caterpillar for the machine meets ROPS criteria SAE J1040 MAY94, ISO 3471:1994. 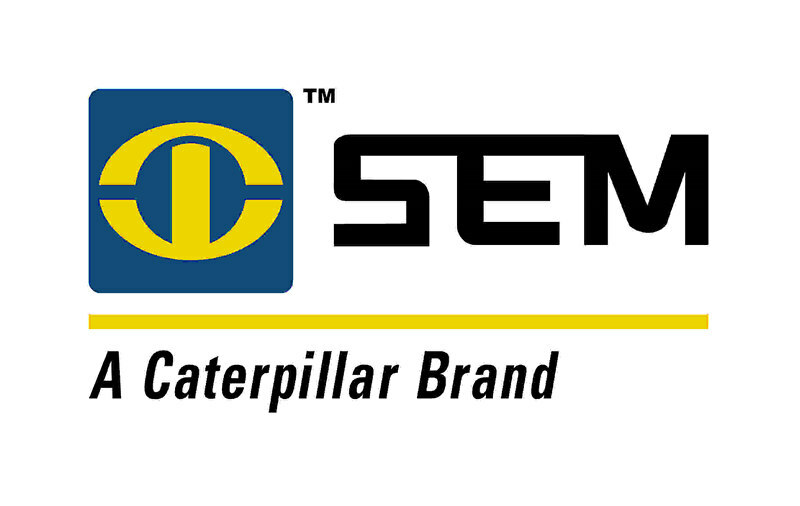 Sound (1) Operator sound exposure Leq (equivalent sound pressure level) measured according to the work cycle procedures specified in ANSI/SAE J1166 OCT98 is 77 dB(A), for cab offered by Caterpillar, when properly installed and maintained and tested with the doors and windows closed. Sound (2) The exterior sound pressure level for the standard machine measured at a distance of 15 m (49 ft) according to the test procedures specified in SAE J88 APR95, mid-gear-moving operation, is 87 dB(A). Note (1) *Includes grouser height for total dimensions on hard surfaces.